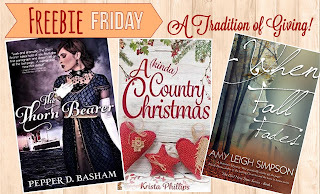 The Writers Alley: Freebie Friday: A Tradition of Giving! 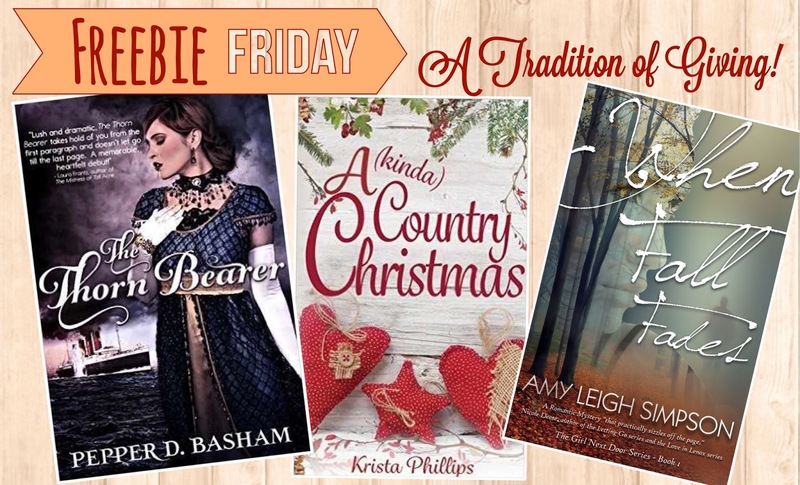 Freebie Friday: A Tradition of Giving! Traditionally Freebie Friday is when I vet Amazon’s kindle store and give you the links to what’s currently free and worth your time! (or at least looks that way!) Well, today I’m breaking tradition but offering a gift… so someone will still get a freebie, no false advertising here. Christmas is right around the corner! As an adult (and parent) it’s easy to start seeing this mad dash between Thanksgiving and Christmas as a season of spending. We spend and yes we give but the stress of finding the right gifts for that ever lengthening list of people to shop for becomes a little bit less about the joy of giving that gift and more about getting everything bought and wrapped and under the tree before (ahem) Santa comes. But there’s something special about giving a gift that we miss this time of year simply because gifts are, well… expected. Whether big or small, when someone surprises you with a gift it’s hard not to get that swell of meaning in your chest. That touch of gratitude and reaches down into the part of you that sometimes feels over-looked or forgotten or unappreciated. Just like spontaneous flowers are better than Valentine’s Day roses any day, a gift from the heart wins against that luxury price tag. Hands down. Now, nice things are lovely. But not when they come wrapped up in obligation. At least. Not to me. Just yesterday my husband made a point to tell me about the barista in the Starbucks drive-thru who gave him a free cup of coffee when he tried to cancel his order because he’d his forgotten his wallet. I still remember the bagger at my grocery store pulling a dollar out of his pocket for the used VHS Star Wars movie my son was mooning over that required cash when I’d only brought in my debit card. These were random acts of kindness, and not elaborate or expensive, but the spirit in which the gift was given was something special. Something I longed to capture and emulate in my everyday giving. Whether it’s a hand drawn Lego man picture for my son’s lunchbox or a quick love letter under my husband’s keys, I’ve found it matters very little what the gift is and very much what the unexpected gesture means. 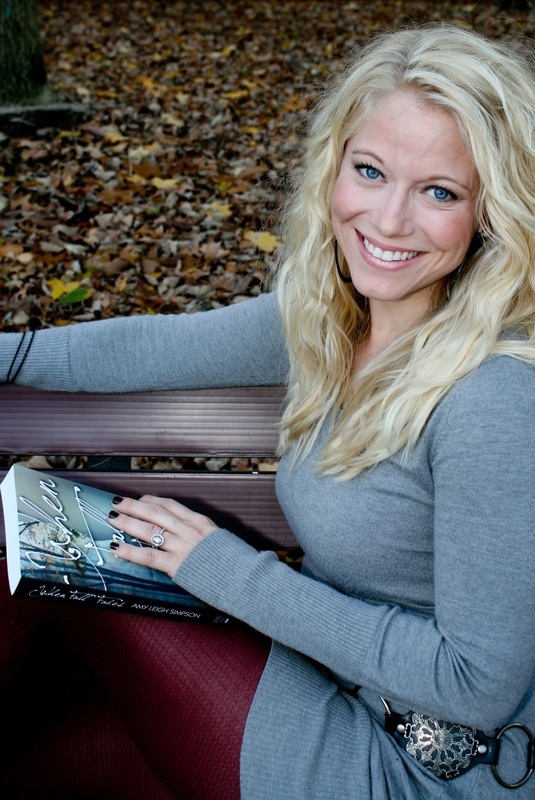 It’s buying a great book for a friend just because it might brighten their day. That is the tradition of giving I want my kids to see. A generous heart behind every ribbon. Hope you have a blessed Christmas season! Give with your whole heart! 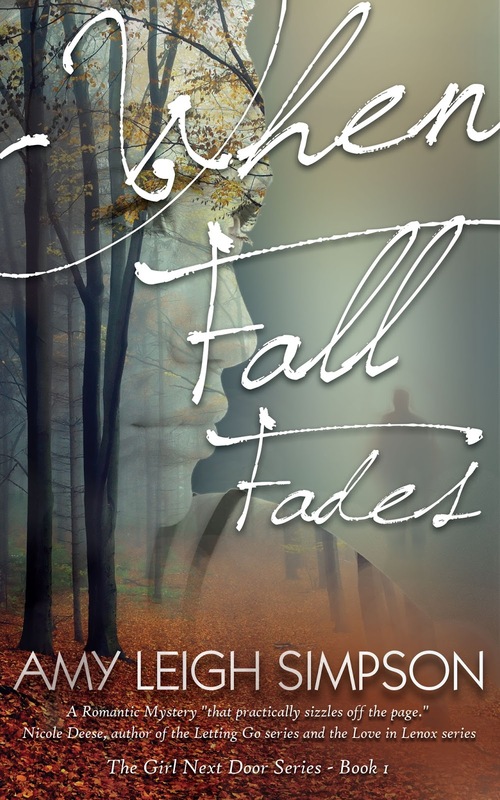 Check out her debut romantic mystery novel WHEN FALL FADES available now for $3.99! We have a cross-stitched advent calendar that I made when my children were young. They used to take turns choosing and hanging the ornaments each day. Now they're grown, so I choose the ornaments for them on the days they would were they here - sweet memories plus a call to prayer. When my husband's family gets together we have a large meal and afterwards exchange gifts. Shortly after the gifts are opened a massive paperball fight ensues using the wrapping paper; usually started by "the elders" in the family who are 80 years old or older. Paper balls fly all over the room and off the ceiling fans and the laughter gets stronger as more paper flies until everyone is exhausted. For some reason this spirited tradition brings out the child in all of us no matter the age. Afterward everyone aims the paper balls to a trash can and cleans up any mess. We all gather around a refreshing cold punch (non-alcoholic) and cookies before returning home. It has become such a tradition that most everyone wraps extra paper around the gifts or they fill the gift bags with extra tissue paper. The gifts are nice, but it is the play time together that we all seem to cherish. Merry Christmas to you and your family. Janet! Love it! What a wonderful tradition!! Beechtree, oh how fun!!! We have an all ages all out nerf war every year after we open presents! I don't know how it started but in the same way it bring out the kid in all of us! We include a container of Tic Tacs in everyone's Christmas stocking in memory of my grandpa who would always carry them in his pocket. As kids we would give him a hug then check his pocket for the tell-tale rattle :) We've been carrying on this tradition since he passed away 30 years ago. Aww! Heidi, love that! My grandpa always had werthers butterscotch candy. They always make me think of him still to this day! My daughter and I bake peppernut cookies every year at Christmas. We started this when she was very young, maybe 2 years old; now she is 25 so we've been doing this for quite awhile. We always take them to the family Christmas dinner; sometimes we give them as gifts too. Very sweet, Pam!!! I make 8-trick butter cookies every Christmas. They melt in your mouth! Yum! Cant wait! Winner jumped right out of a hat! 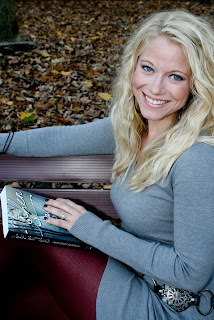 HEIDI ROBBINS! You can either leave your email address here in the comments or you can email me at amyleighsimpson@gmail.com and I'll get you your prize bundle of books! Hope they bless you! Merry Merry Christmas!